Alliance Marine Group has announced the acquisition of 3SI Group which includes well-known brands such as Ocean Safety, Typhoon, ISP (UK-based) and Revere (US-based). Alliance Marine was founded in 1999 and taken over in 2016 by WCP (Weinberg Capital Partners). Jean-Paul Roche, founder and CEO of Alliance Marine, has gradually consolidated this group of companies into a key player present mostly on the boating recreational and commercial marine markets. Alliance Marine strategy is based on a combination of organic growth and external growth. “Internal growth requirement gives every company a real commitment to tight management and positive financial results, says Jean-Paul Roche. In addition, our acquisition strategy enables Alliance Marine to increase its geographical footprint and products portfolio as well as enlarge markets segments exposure. Adding the 35M€ sales and 250 staff of 3Si group, Alliance Marine sales will now be close to 170 M€ and its staff around 700. 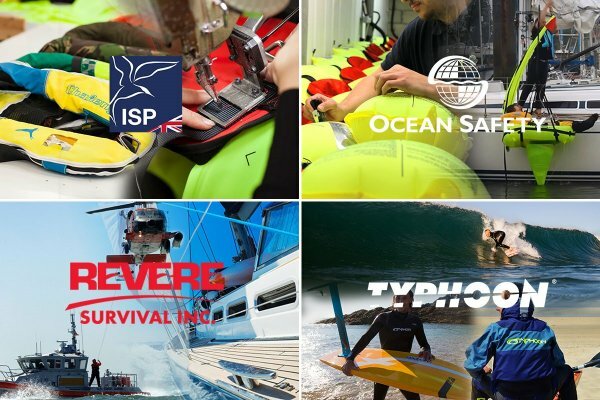 Above all, teaming up with Ocean Safety, Typhoon and Revere will create bridges and opportunities for Plastimo, the worldwide known safety brand. “There are very interesting similarities between Plastimo and the newly acquired brands: we operate on the same markets and we develop and manufacture proprietary products such as liferafts, lifejackets, lifebuoys and Man Over Board recovery systems. Plastimo and 3SI also share the obligation to comply with strict regulation, whether for leisure boating, commercial marine or defense markets (SOLAS, USCG, NATO etc.). Capitalizing on the strength and know-how of both companies will allow our Safety offer to better answer customers’ needs. Joining forces with 3SI will also allow Alliance Marine to enhance the proprietary products development and their international homologation”, says Plastimo MD Yann Cornec. All current 3SI operations (sales offices, factories, teams) will remain unchanged. Andrew Richards, 3SI CEO along with his senior management team of Alistair Hackett and Jon Crossland are fully committed to supporting and fueling Alliance Marine’s development. “We are fully satisfied to join Alliance Marine project. This will allow the 3Si activities to accelerate their development. We share the same culture of customer centricity and willingness to propose in-house designed innovations.”, says Andrew Richards.